As many as 579 illegal migrants were held across Turkey on Friday. According to the Anadolu Agency, seven Pakistanis were also among the undocumented migrants apprehended by the authorities in the northeastern Artvin province. The migrants, who had entered Turkey from Iran using illegal means, wanted to go to Istanbul and Ankara, but were held at the Artvin bus station. According to police sources, 234 migrants out of the total were rounded up in Dikili and Menderes districts of the western Izmir province. While 35 Syrians and one Afghan national were held by the Gendarme forces in an old hut in the Dikili district, 32 Syrians and South Africans were arrested in the Menderes district of Izmir. 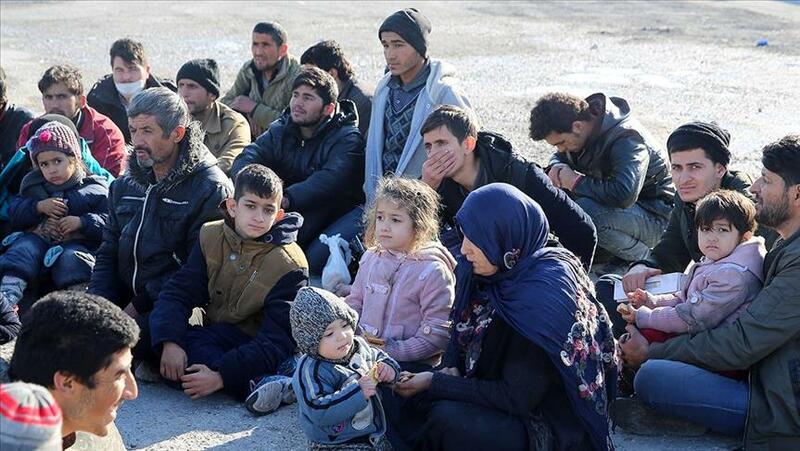 Another 36 undocumented migrants in Dikili were later taken into custody during a road check, followed by 25 Syrians in Menderes, who were found abandoned in a minibus. Furthermore, 49 migrants including women and children were held after coastguards stopped a ferry on its way to the Greek islands in Menderes. 6 Syrians, 33 Angolans, 7 Togolese and 3 Senegalese were taken into custody from the boat. While the coast guard units also caught 56 Syrian nationals in a dinghy en route to the Greek islands, 99 undocumented migrants – mainly from Afghanistan – along with their organisers were held in another operation in the Saztepe village of eastern Erzincan province. Separately in the northwestern province of Edirne, 198 undocumented migrants were taken into custody during operations in the Bosnakoy, Meric, Ipsala and Lalapasa districts. The migrants including Pakistanis, Palestinians, Moroccans, Syrians, Algerians and Bangladeshis were later transferred to the migration management authorities.